Our Abril EcoFoam™ products might be state-of-the-art, but we’re proud to be a good old-fashioned family business. You call, we answer. If we say we’ll be there at 9 am, then we’ll be there at 9 am sharp. Dad always said, if a job’s worth doing, it’s worth doing right. 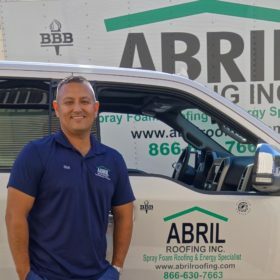 The Abril family established Abril Roofing in 2003. 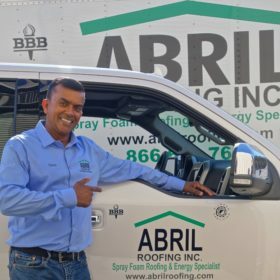 The company’s owners—Richard Abril Jr. and David Kumar—have more than 40 years of combined industry experience, and its team of Master Foam Technicians has applied thousands of foam roofs throughout the Bay Area. Mr. Kumar, a Master Foam Technician himself, personally manages each project from start to finish. 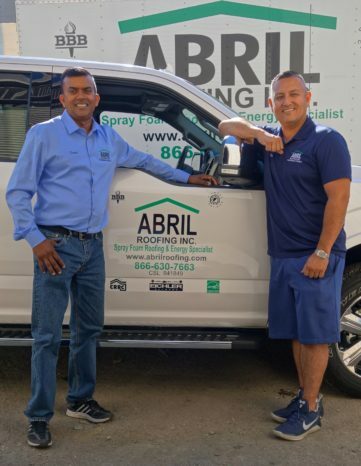 Abril Roofing uses high-density polyurethane foam that contains nontoxic catalysts and environmentally-friendly additives. 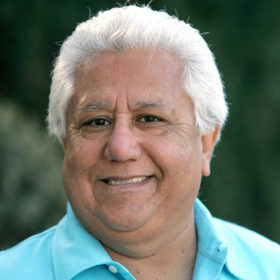 Mr. Abril Jr. says spray foam roofing is one of the most efficient roofing and insulation systems available. “It improves draining problems, reduces maintenance expenses with its unparalleled durability and uses its superior insulating properties to lower energy costs.” We also offer maintenance programs that include semi-annual inspections and cleanings to ensure our customers’ roofs perform for a lifetime. Rated Highest in Quality and Helpful Expertise since 2006, we take pride in professionally managing our customers’ roofing projects. We’re dedicated to Eichler home preservation, fine craftsmanship, efficiency, superior business practices and hard work. As a result of our commitment to excellence, we’re able to provide outstanding customer satisfaction.